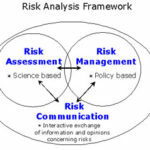 Not just the risk analysis but the risk management, and treat both as an ongoing cycle. 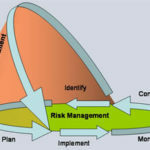 As I say, a proper ISMS is needed – of which ISO27001/2 is a good example – rather than an ‘appliance’ or piece of OTS software such as those mentioned in the article, which often run on a ‘fire and forget’ mode and are installed by a netadmin or hostadmin who has little to no real, meaningful security understanding. 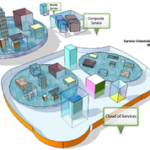 changes in the security profile to deal with the changes in technology and threats — as indeed the recent shifts to BYOD and ‘Cloud’ have shown — and the risk management processes, the people and the training. Companies that are not willing to deal with this are going to suffer. the e-commerce world consumers are coming to expect many basic quality and security baseline features. And that too is an evolving issue. sites like PayPal and eBay devote a lot of energy not simply to security but to the whole process of evolving security, being aware of evolving threats and methods and vulnerabilities. But its also easy to do it all wrong, to go though the motions with no real results. We can see that with the way the US Government is dealing with InfoSec and in doing so generating the artificial ‘skills gap’ of InfoSec specialists. What they are doing is demanding the low-level operatives, in effect ‘enhanced’ sysadmins and netadmins who are trained in using the appliances and configuring Windows devices and servers. This is ‘tactical work. What they are avoiding doing is the strategic work, addressing organizational and structural issues, doing proper risk analysis and management, the heavy ‘paperwork’ of implementing ISO27000 or ISO31000. One reason for this is that it is going to be disruptive, “drag them kicking and screaming out of the 19th century”. We can point quite clearly to various US government departments since they are high profile, well publicized in the media and reports, and quite recidivist, but there are no shortage of other organizations, commercial, NGO and governmental, throughout the world that have implemented just enough “security to say “well that doesn’t apply to me”. All to often that ‘just enough’ is in the form of appliances and OTS software for otherwise poorly configured Windows systems, run by an under-staffed, under-trained (because its under-budgeted and managed by people who don’t understand Risk Management) people. And there’s a lot of “Denial” going on. This is why I like dealing with first and second tier banks and the large insurance companies that have been around for a long time. They’ve been doing Risk Analysis and management in the meat-world for a long time and segueing that into Cyberspace is no big deal for them. Their main issue is that they have to be a bit un-conservative to deal with rapidly advancing technology. But as the real world shows, even they aren’t completely immune. So any organization saying “I’m all right” and “I don’t need to do these things” and “I’m OK with my appliances and OTS software” is deluding themselves.